CLEVELAND — The Coast Guard had a busy weekend throughout the Great Lakes as crews responded to 40 search-and-rescue cases, issued five civil penalties and four federal tickets for boating-under-the-influence, and conducted one federal arrest. Friday afternoon, Coast Guard Station Grand Haven, Mich., rescued a 3-year-old boy who had fallen from a pier. A Coast Guard law enforcement team issued a federal ticket for grossly negligent operation of a vessel Friday just before midnight. 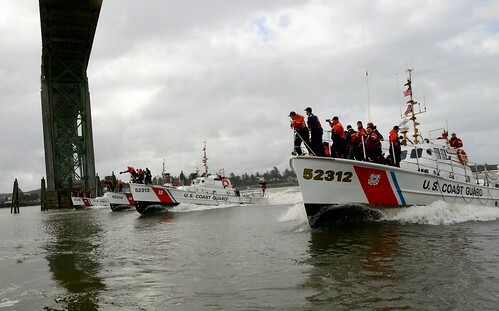 A boatcrew from Coast Guard Station Saginaw River, with a Michigan Department of Natural Resources officer aboard, were underway aboard a 45-foot Response Boat-Medium in the Saginaw River when a 16-foot vessel with four adults and one child aboard nearly collided with them. The boatcrew stopped and boarded the vessel. 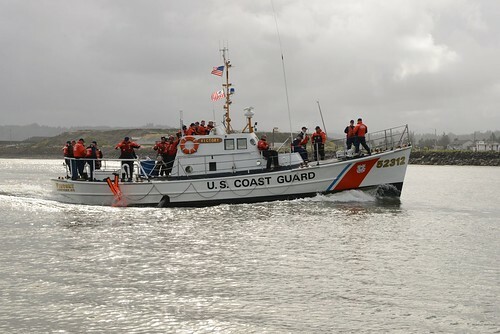 During the boarding, the Coast Guard boarding officer and MDNR officer smelled marijuana. A breath analysis test was administered to the operator which indicated a blood alcohol content of 0.035. The MDNR officer conducted six afloat field sobriety tests, four of which the operator failed. The operator was taken to Bay City Medical Center for a blood test and then escorted to the local jail by the MDNR officer. The vessel was taken to Station Saginaw River to remain overnight. All four adults on the vessel admitted to smoking marijuana. 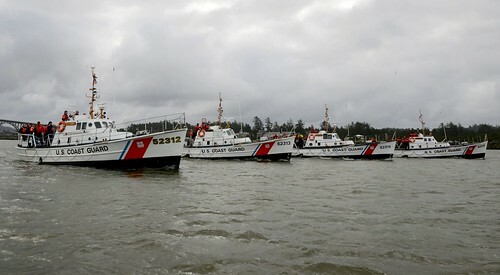 On top of the federal ticket, the Coast Guard boarding officer issued the operator a civil penalty for BUI. Two other civil penalties were issued on Lake St. Clair by Coast Guard Station St. Clair Shores. 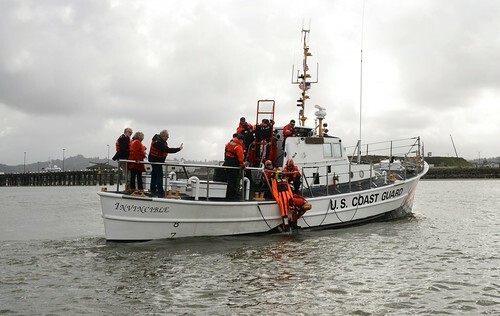 The Coast Guard can’t stress enough the importance of staying sober while operating a vessel. Alcohol was the leading contributing factor in fatal boating accidents last year. The Coast Guard and every state have stringent penalties for boaters violating BUI laws. The federal statute can be found in Title 46, U.S. Code, Section 2302. Penalties can include large fines, suspension or revocation of boat operator privileges, and jail terms. At 11:18 p.m., Saturday, a boatcrew from Station Saginaw River aboard a 45-foot RB-M boarded a 30-foot vessel with two people aboard. The owner/operator appeared to be intoxicated and the boarding officer conducted FSTs. The operator failed all of the FSTs, and he had a 0.123 BAC. The vessel was taken to Bay Harbor Marina, where the operator was issued a federal ticket for BUI and instructed not to get underway until sober. Later, a boatcrew from Station Saginaw River witnessed the same vessel operating in the area. The owner was seen standing next to a woman who was at the helm. Shortly after, the female operator appeared to lose control and struck another vessel. 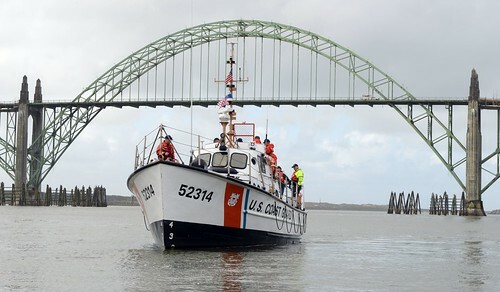 The vessel was stopped again, and the female was given a breath analysis test with a reported .0.098 BAC. The legal limit in Michigan is 0.1 BAC. A federal arrest was authorized under 33CFR177.05c for willful failure to suspend further use of a boat until especially hazardous condition is corrected. 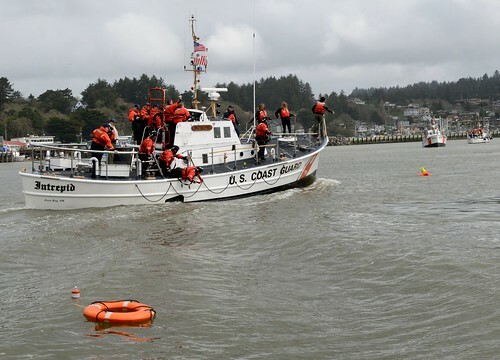 Two other boaters were cited for BUI by the Coast Guard on Saturday. 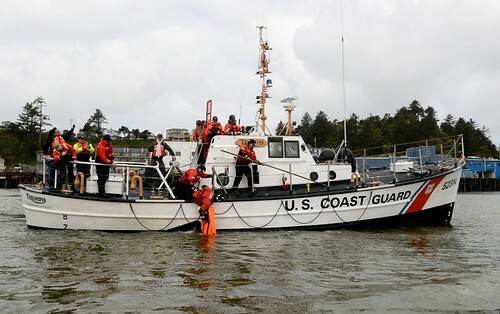 Sunday at 7:09 p.m., a Coast Guard Auxiliary boatcrew returning to Coast Guard Station Rochester after a patrol located a person in the water and his capsized kayak. The boatcrew rescued the kayaker and transported him and his kayak to shore.